So Real Madrid have spent 140 million or so Euros and we are all wondering and debating about where Chelsea will pounce first this summer? Where our first signing will come from? Will we give our youngsters a chance? Will it be out with the old and in with the new?. We have even given our own run down of each member of the current first team squad stating whether or not we should Sell, Keep or Not Sure against each one of them. 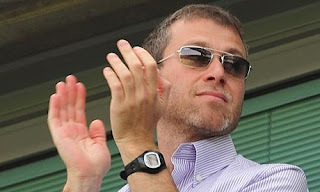 But who's to say that Roman Abramovich hasn't got his eye on the ball already?. With the likes of Rafa, Fergie, Hughes and Madrid going barmy splashing the cash or looking like they are about to, Roman has already made his first signing! Click Here to read the full story! Romans Yacht has reportedly cost him 288 million! Its the world's most expensive private Yacht with an German-built missle defence system! So Its plain to see, there's no panic and maybe we don't need any signings eh?